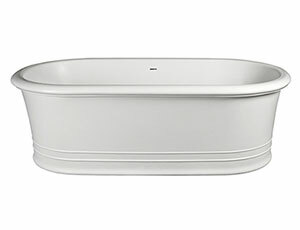 The Bath Company is Orange County's ultimate resource for the world's finest fixtures. Since 1981 our bath and kitchen design experts have helped thousands of clients find and coordinate the most exquisite faucets, sinks, tubs, toilets, cabinets, and hardware for remodeling and new construction projects. Our designer showroom offers the best fixture selection in Orange County and our team provides unparalleled customer service. When you work with us, you can be sure that we will invest the time and attention it takes to properly design your dream bathroom or kitchen. 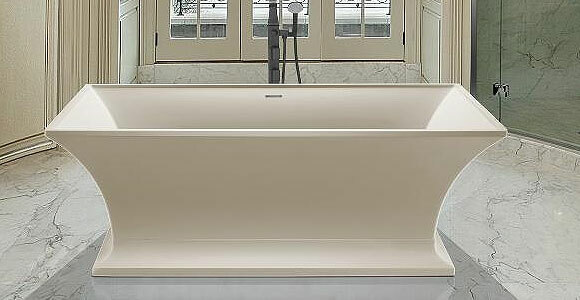 The Bath Company is a showroom and design center that emphasizes mechanics before style. Each person on our sales and design team has more than 10 years of industry experience and extensive product knowledge on the features, functionality, and durability of every tub, faucet, sink, toilet, and accessory that we sell. Builders, contractors, designers, architects, and homeowners come to us when they want fixture recommendations they can trust. We consider the ramifications of every selection -- application, mechanics, pricing, design coordination, warranty coverage, maintenance, available options, sizing, expected longevity, etc. -- and inform our clients of such. Once a final decision is reached, we consider all elements together to ensure that the final look will be completely cohesive. At our design center, our experts can coordinate fixtures to complement adjacent rooms or design each bathroom according to your unique aesthetic. Our incredible selection is sure to have what you are looking for. 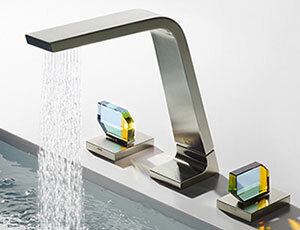 Our faucets come from all around the world and include traditional, modern, and transitional designs. 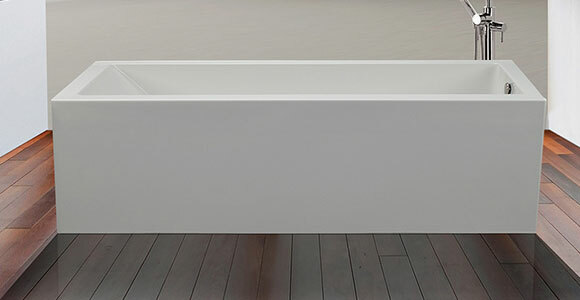 We have sinks in ceramic, porcelain, fire clay, hammered copper, stone, mosaic, glass, tile, and stainless steel as well as undermount tubs to complement or define your kitchen, bathroom, laundry room, or outdoor space. 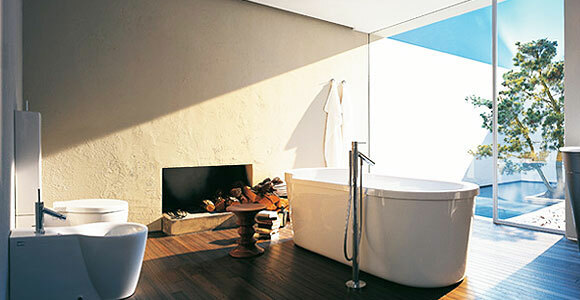 If you are looking to upgrade your master bathroom or create your own personal spa, we have acrylic, cast iron, and solid surface tubs of every size and depth that can be outfitted with state-of-the-art features like heated backs, whirlpools, hydrotherapy, air baths, and more. We even carry saunas and steam rooms. 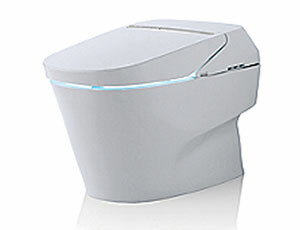 We'll help you find the right toilet for your design and budget with the industry's best flushing toilets. 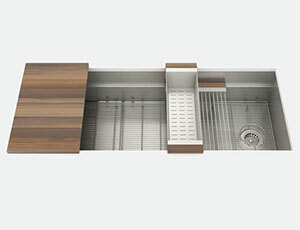 We also have washlets that feature heated seats, warmed water, and self-opening and closing lids. 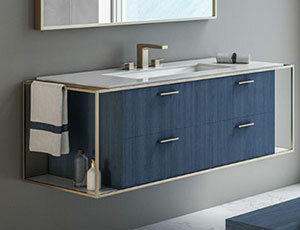 And, to complete your bathroom, we have a large assortment of hardware, cabinetry, and accessories. Come to our showroom and design center for inspiration and leave with a comprehensive vision and plan. We'll work closely with you and your contractor throughout the entire remodeling and building process and ensure that everything arrives on time and to your precise specifications. Most importantly, we'll invest the time it takes to get it right the first time and allow installation to proceed easily and smoothly. Call or visit The Bath Company today for a professional product and space planning consultation with one of our bathroom and kitchen fixture experts.